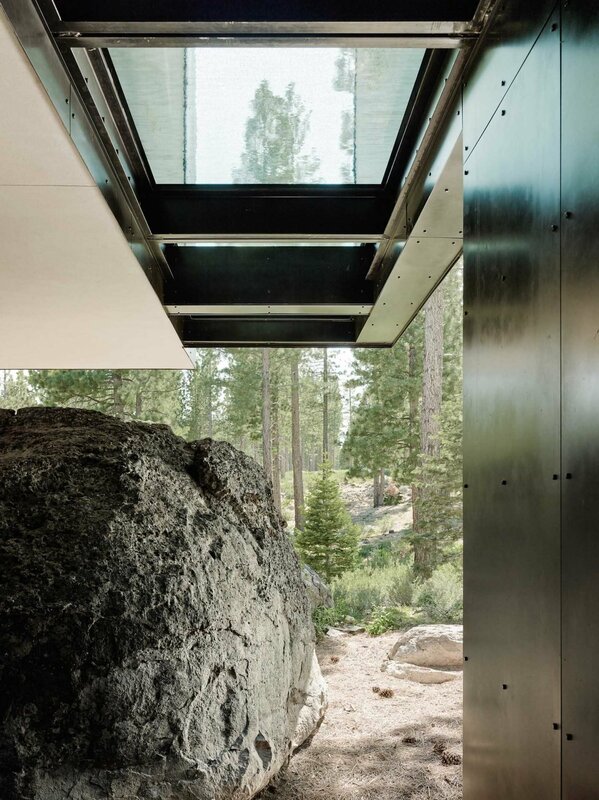 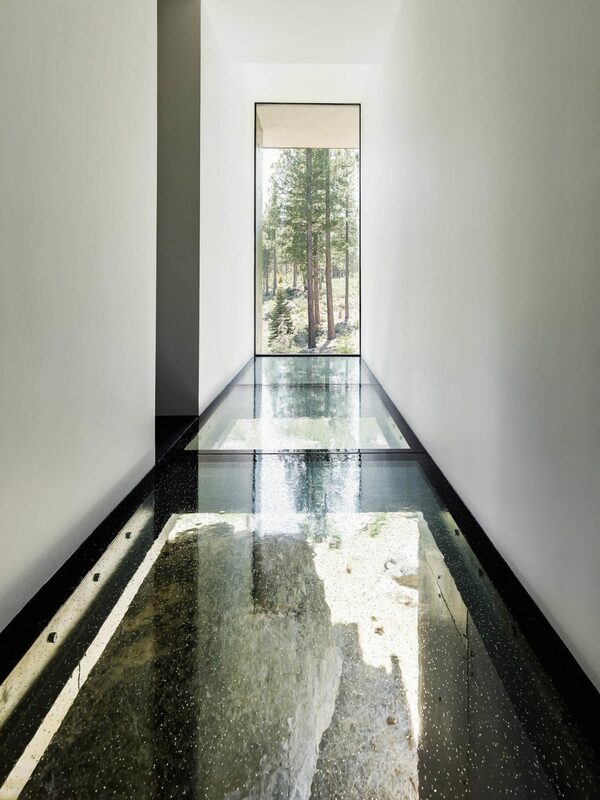 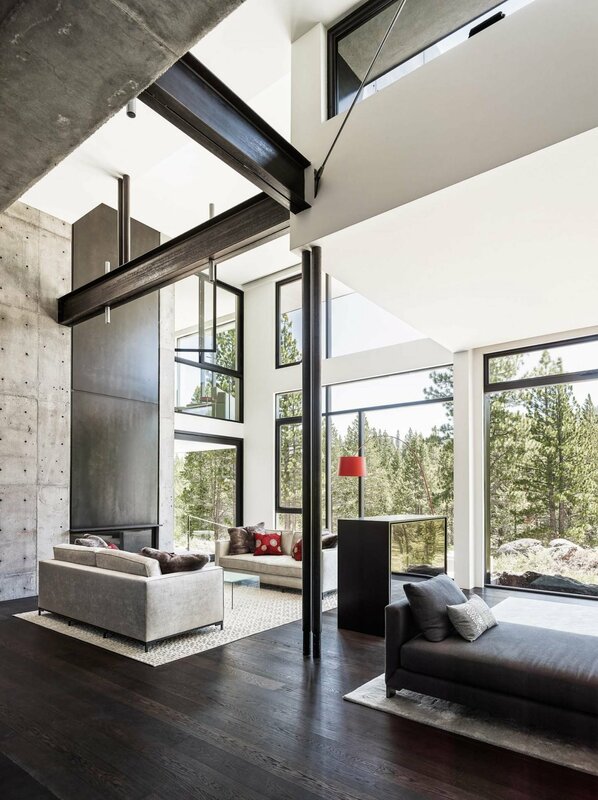 Creek House, designed by Faulkner Architects balances precariously over boulders in Lake Tahoe, California. 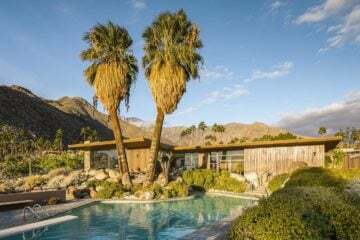 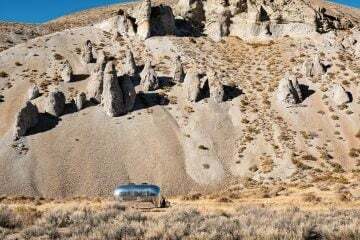 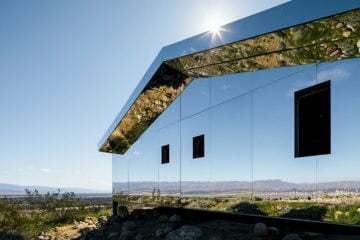 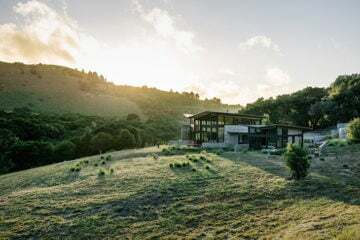 Tasked with providing a countryside getaway for a multi-generational family, California-based studio Faulkner Architects designed a longitudinal home that interacts with its rocky surroundings. 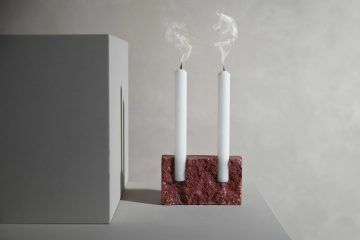 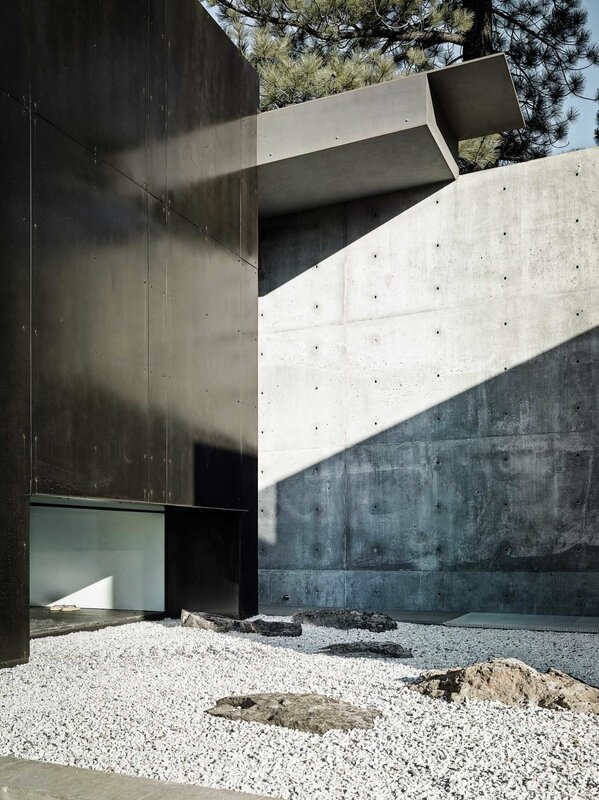 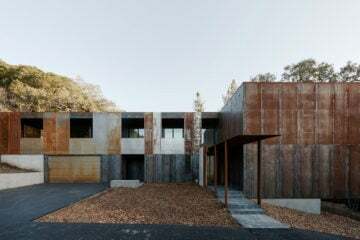 “…the house was built around and in deference to every rock…”‘Creek House’ is wrapped in concrete, wood, and dark panels on the outside, while muted tones and gypsum white walls have been used throughout the interior. 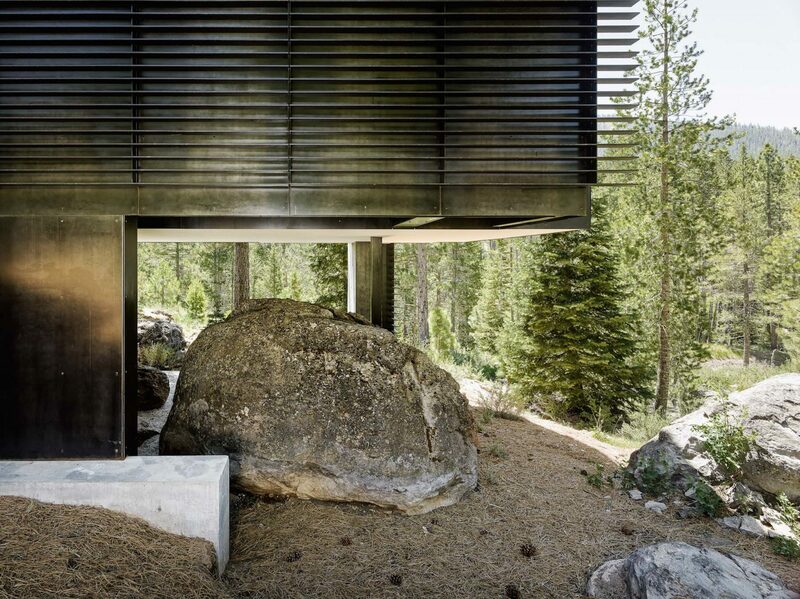 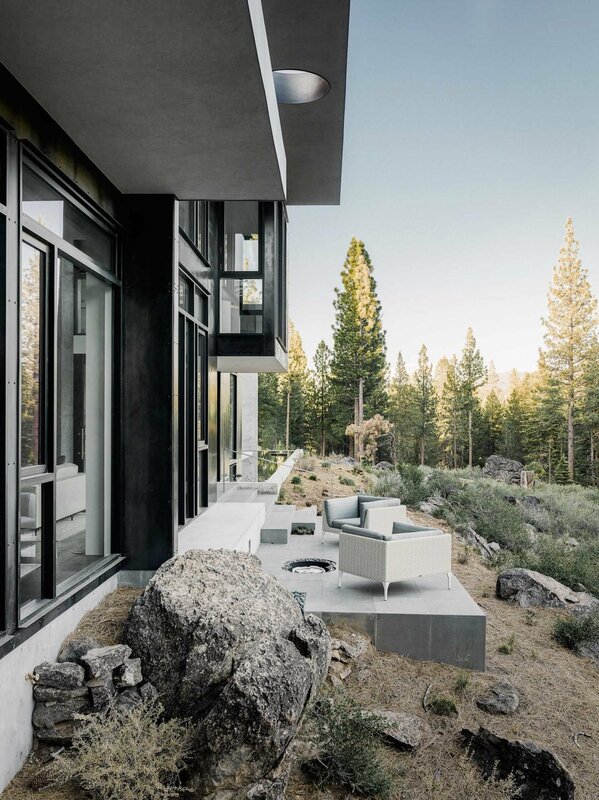 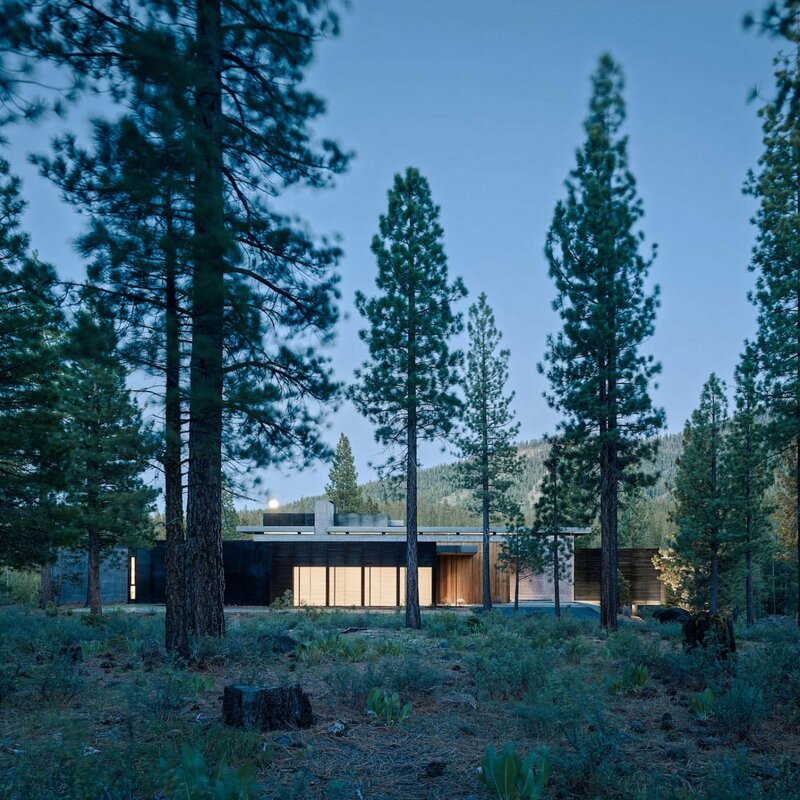 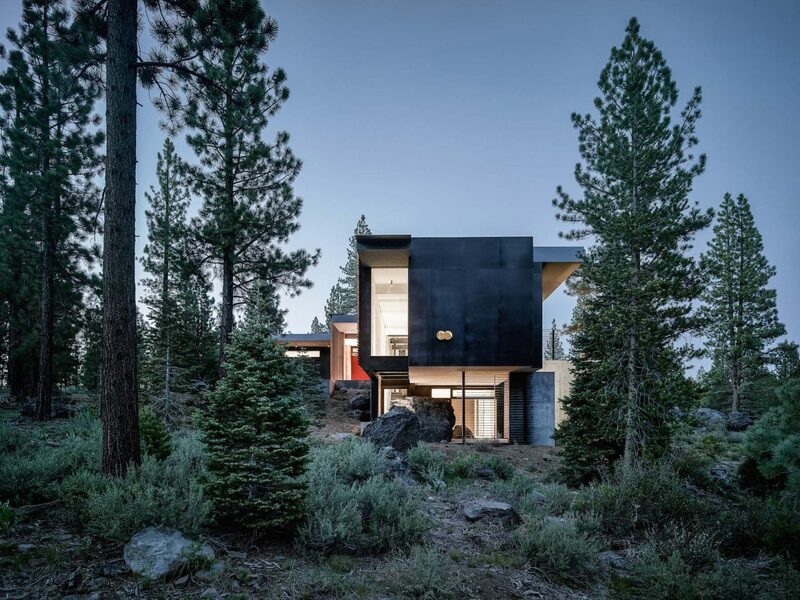 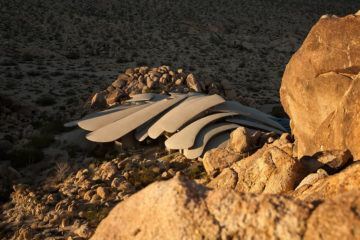 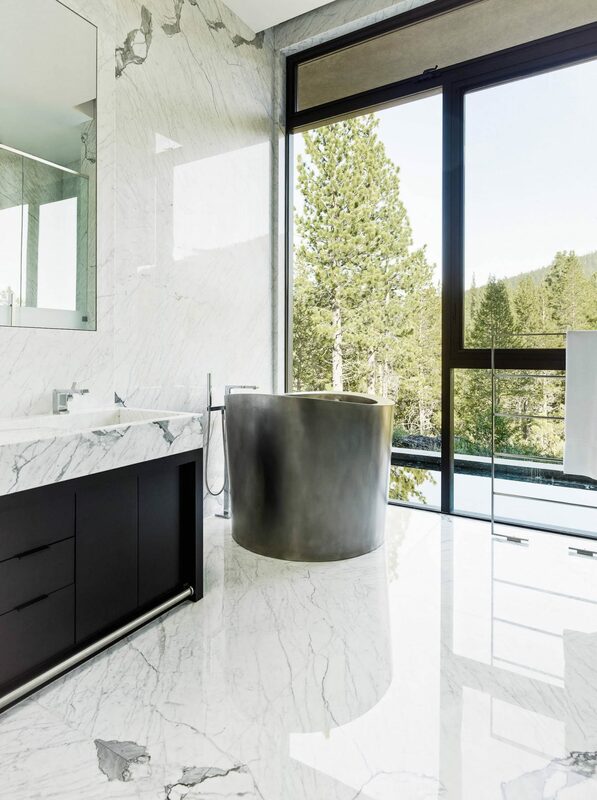 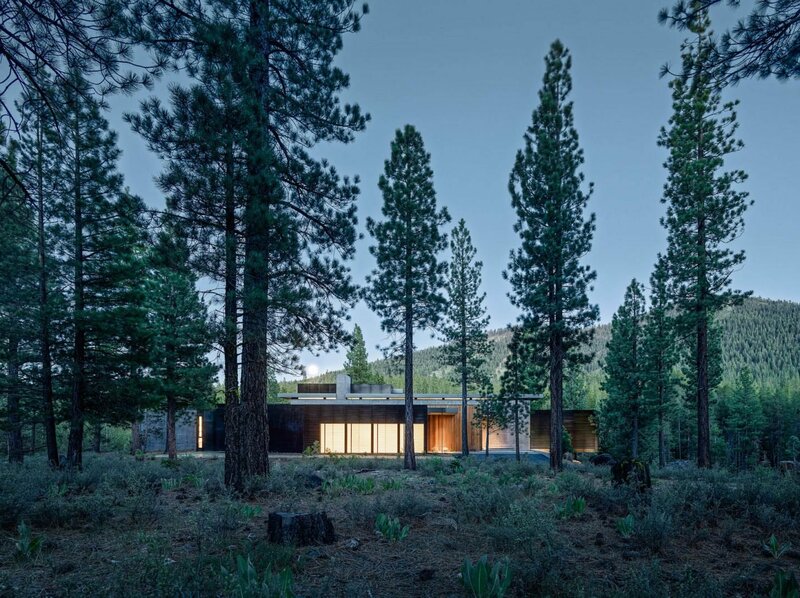 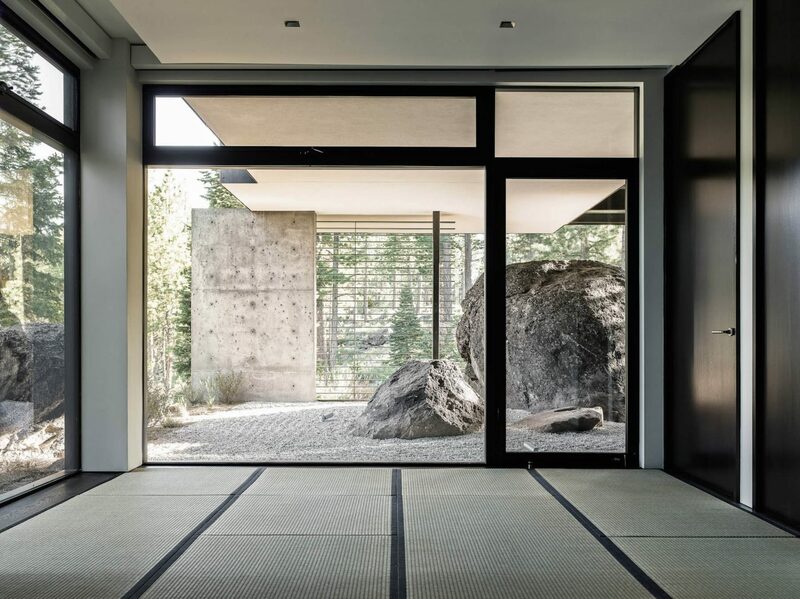 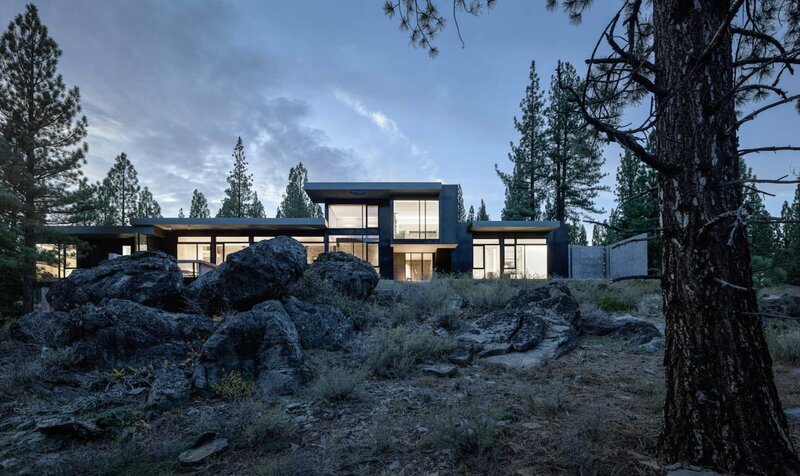 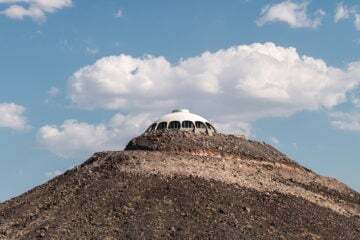 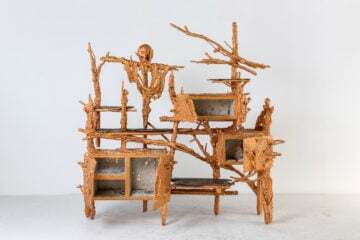 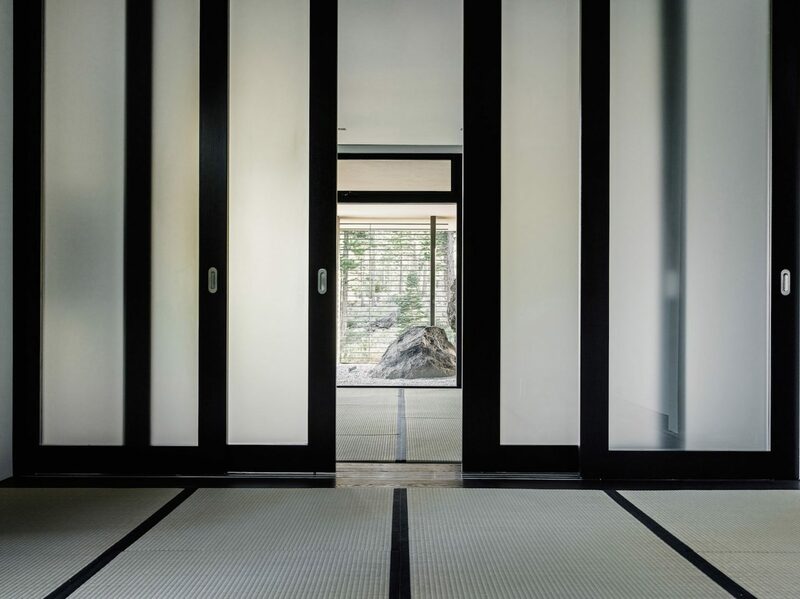 The firm explains that “the house was built around and in deference to every rock”, and aimed to make the house blend in with the scenery of Lake Tahoe. 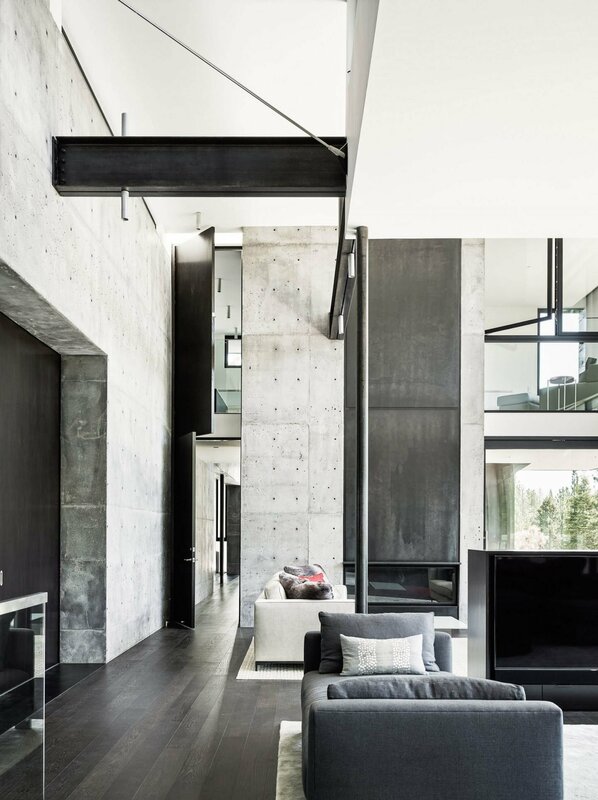 The home is arranged around a central open-plan kitchen, living and dining room which overlook a ravine. 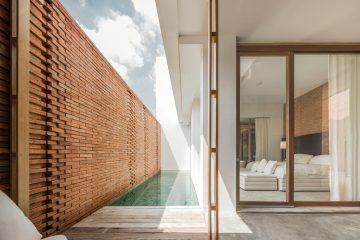 Private bedrooms can be found at either end of the home and an additional meditation space on the lower level can also be used as a bedroom for guests. 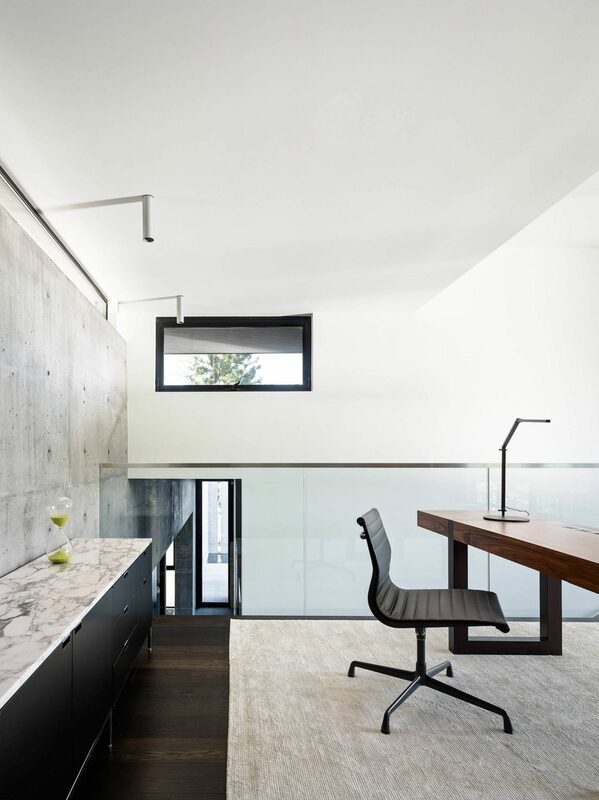 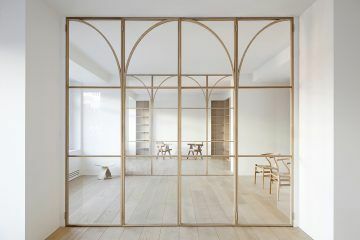 Though most of the house remains on one level, a single block room sits atop of the house and serves as a study. 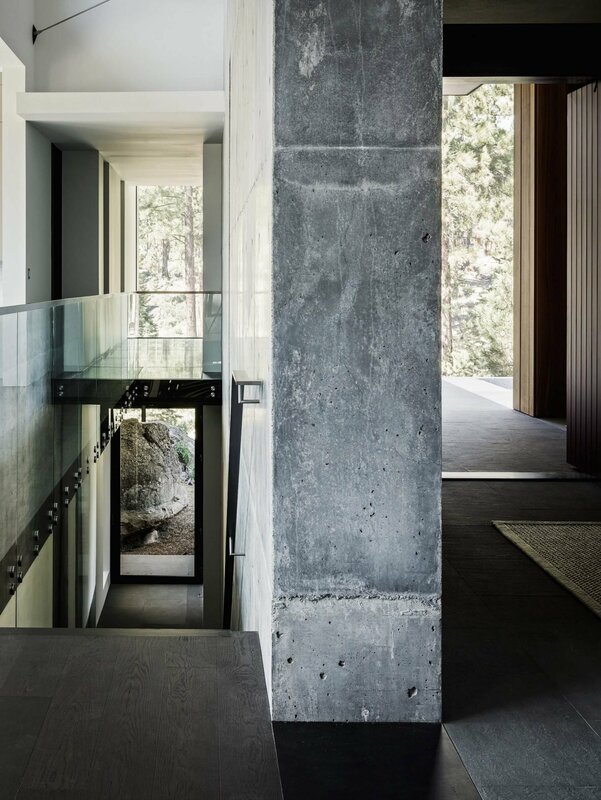 This cantilevered volume hangs over the rocky site, which according to the architects, makes Creek House feel as if “it[‘s] not even touching the site.” Wide floor-to-ceiling windows surround the home, allowing the family to enjoy the best of California’s sunny weather.